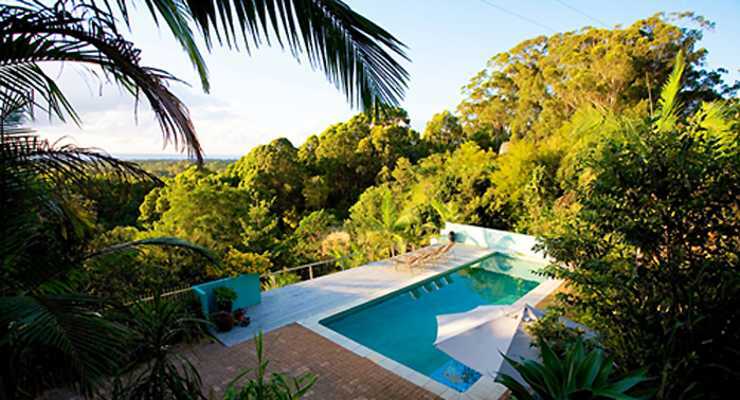 Join Jessie Chapman and facilitators on for an all-inclusive 5 night Radiance Byron Bay Yoga Cleanse Walk Restore Retreat staying in a beautiful ocean views retreat within walking distance to Byron Bay's beautiful beaches. Each day on retreat is an inspiring journey towards your relaxed and connected self with twice daily yoga, beautiful guided beach and nature walks, all organic plant based meals and juices, massage, core strength classes, guided meditations, yoga nidra and a range of other healing art classes to slow down and regenerate. We stay 5 nights at the lovely ocean views Sangsurya Retreat within walking distance to the beach and tea tree lake with lovely accommodation for deep rest, an ozone swimming pool, large wooden floor yoga hall, nature trail, a choice of peaceful relaxation spaces and The Healing Room offering a range of holistic spa treatments. This is your time to deepen your yoga practice and enliven your whole being in beautiful natural surrounds.